Professor Kaarin Anstey will join University of New South Wales (UNSW) and Neuroscience Research Australia (NeuRA) to lead an innovative multi-disciplinary team addressing ageing research, with a focus on vital community lifestyle solutions around dementia in the Australian community. She will commence her new position in January 2018, based at NeuRA, Randwick, NSW. This appointment signals a new Alliance between UNSW and NeuRA to better align their research capacities to address key societal problems in neuroscience such as healthy ageing and especially the growing burden of dementia in the Australian community. Prof Anstey will take up a Chair in the School of Psychology, Faculty of Science, and a position of NHMRC Principal Research Fellow at NeuRA. This landmark joint appointment between UNSW and NeuRA and has been facilitated by strategic recruitment programs (UNSW SHARP – Strategic Hires and Retention Program and the NeuRA Discovery Fund). 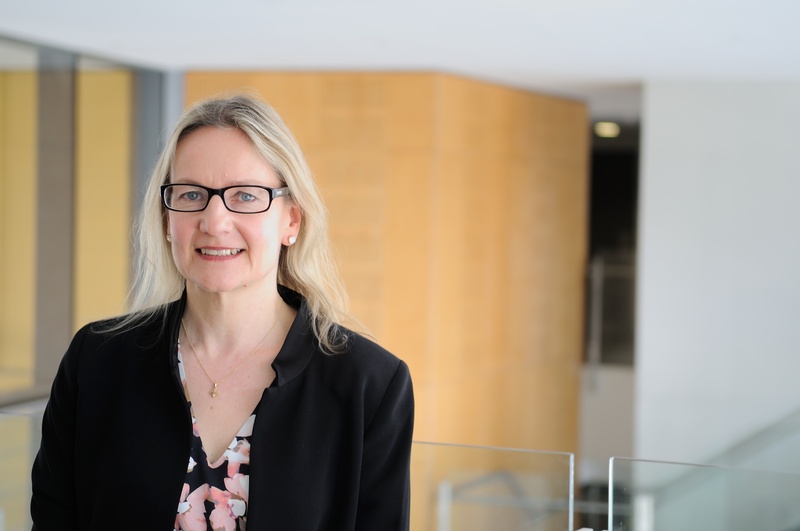 Speaking about her new appointment, Prof Anstey said, “I am delighted to be joining this Alliance of partners with such excellent records and strengths in innovative and progressive neuroscience research at both NeuRA and UNSW”. “I’m looking forward to expanding my research programs on the epidemiology of cognition and dementia with a focus on identifying lifestyle, brain, and biological risk factors that lead to cognitive decline, and the impact of cognitive ageing on everyday function and safe driving in the individual and broader community. In context, by 2053, 21% of the Australian population will be aged 65 and over (8.3 million people) and 4.2% aged 85 and over (1.6 million people). This unprecedented demographic shift will result in dramatic changes in the need for health and care services. Prof Anstey believes there is huge scope for research to improve how people age through preventive health strategies, the use of technology and specific skill training. Using psychological and population health approaches, her research programs focus on interventions to reduce risk of dementia, cognitive ageing and decision-making, interventions to improve driving skill, and longitudinal studies of health and ageing. Over the next five years Prof Anstey will focus on four key projects including: the development of a global research network for dementia prevention and building the evidence-base on risk and protective factors for cognitive decline and dementia; physical and mental resilience in ageing; how cognitive decline impacts on decision-making; and how to keep older drivers on the road for longer, safer and more independent. UNSW Sydney Vice Chancellor Professor Ian Jacobs said “We are delighted to welcome Prof Anstey, a world leader in ageing and dementia research, to UNSW Sydney. Prof Anstey is a member of the WHO Guideline Development Group on Dementia Risk Reduction, reflecting the key roles that our research leaders take in addressing major health problems in our community”. Commenting on this critical appointment, Prof Peter Schofield CEO and Executive Director of NeuRA said, “Prof Anstey brings a breadth of expertise in both ageing and dementia research. She will add a crucial new dimension to our research programs, through her leadership of the longitudinal study of the psychiatric epidemiology of dementia via the PATH through life study”. Whilst, UNSW Sydney Dean of Science Professor Emma Johnston said “Prof Anstey brings a unique breadth of research expertise applied to real world problems. Ranging from dementia risk reduction programs through to helping to define the parameters required for safe driving in older Australians, her ability to provide intellectual leadership is critical for our success”. UNSW Sydney Head of School of Psychology Professor Simon Killcross said “With specific translational research projects in cognitive health promotion in primary care and promoting older adults’ mobility and good health, Professor Anstey demonstrates how her research agenda will enhance the strengths in Psychology at UNSW. We are the top-rated School in Australia and look forward to her arrival further lifting our performance”. UNSW Sydney Professor John Piggott, Director of the ARC Centre of Research Excellence in Ageing Research (CEPAR) said “We are delighted to have our long-time colleague and CEPAR Co-Deputy Director join us at UNSW. Collaboration is the key to our joint engagement in CEPAR and having Prof Anstey as a campus colleague will greatly enhance our interactions”.